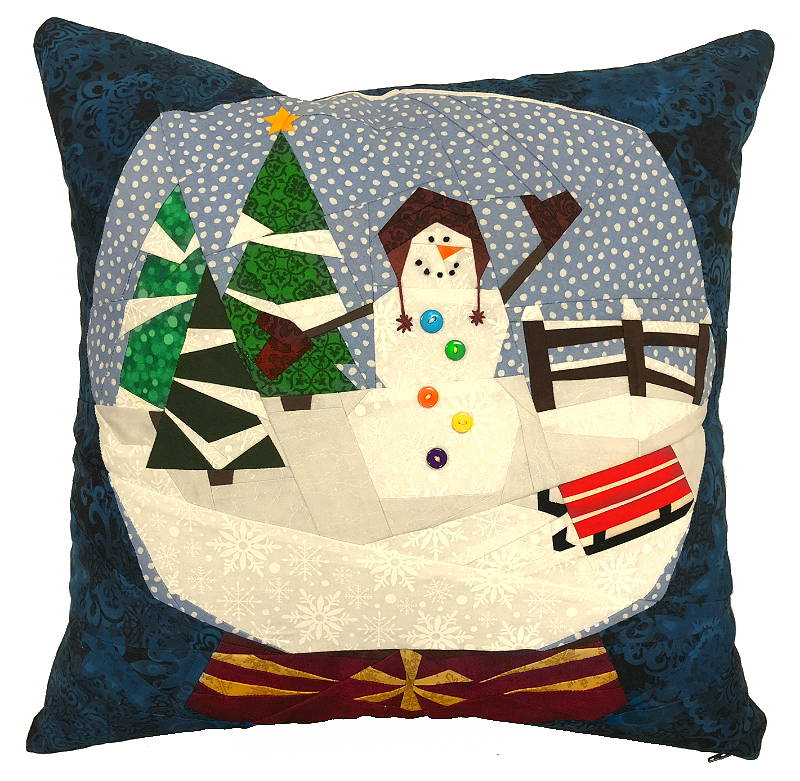 The Snow Globe Throw Pillow is a fun and elaborate paper piecing work of art! This 3 day class is designed for beginners. You will find that paper piecing can be fun and easy with a few simple tricks and some practice. We will start with an intro to paper piecing and work through all the challenging situations you could possibly come across. You will emerge a paper piecing expert able to take on any project you desire! Price for class and pattern only is $65. Call us to register at this price.